What Goes Into Making Your Website? Your website is put together like a refined piece of music; all of the sections work in harmony with each other in order to form a larger masterpiece. 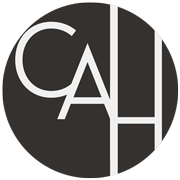 It is with this type of care in mind that a CAH site is created from beginning to end. Here's an overview of how your website is made. The initial phase of the website launching process is setting up the domain name and its associated hosting server. The site is then designed and constructed. After all of the proper adjustments and fine tunings have been made, the site is now ready to be uploaded to the hosting server. The name is what people will type in their browsers to pull up the website which is stored on the hosting server. Both are absolutely necessary in order to run a functioning site. Logo and branding design are needed when a visual identity is absolutely key to not only the website’s success but the organization the website is being built for. Branding takes careful time and decision in order to be the most effective to the public eye. Even further than selecting a general color scheme, an entire style palette is developed to balance funciton and design. Mobile devices have rapidly invaded the demographic of internet traffic and are a force to be reckoned with. The need for a website that is compliant with these devices is a need to be reckoned with as well. Sites can be designed for a general array of mobile visitors or for specific devices and platforms for an even more individualized and functional experience. These modules all require a measure of training for the client in order that they are able to regularly maintain these features. Social media marketing will include instruction on: social networks, blogs, podcasts, email marketing and more. A CMS can be setup so that the client is able to modify specified areas of their site. Google Apps allows the client to have email accounts unique to their domain name. An e-commerce module can help the client's site generate a stream of revenue. Maintenance and upkeep of the client’s website is an optional service. If selected, the web designer will be sure to provide support and general upkeep to the client’s site for minimal tweaks and adjustments ranging from informational changes to periodic graphics updates. If major overhauls to the site are needed, a fee will be negotiated between the designer to address the issue at hand.